2 X Lilac Eclipse: is a warm lilac crÌ©me. 2 X Hypnotic Dreams: is a magical autumn brown. 2 X Berry Boudoir: is a deep mulberry plum. 2 X Eternal Midnight: is a midnight periwinkle purple, shining in a sky of azure blue hues. 2 X Viridian Veil: is a chrome aquamarine blue. 2 X Mercurial: is a holographic silver. 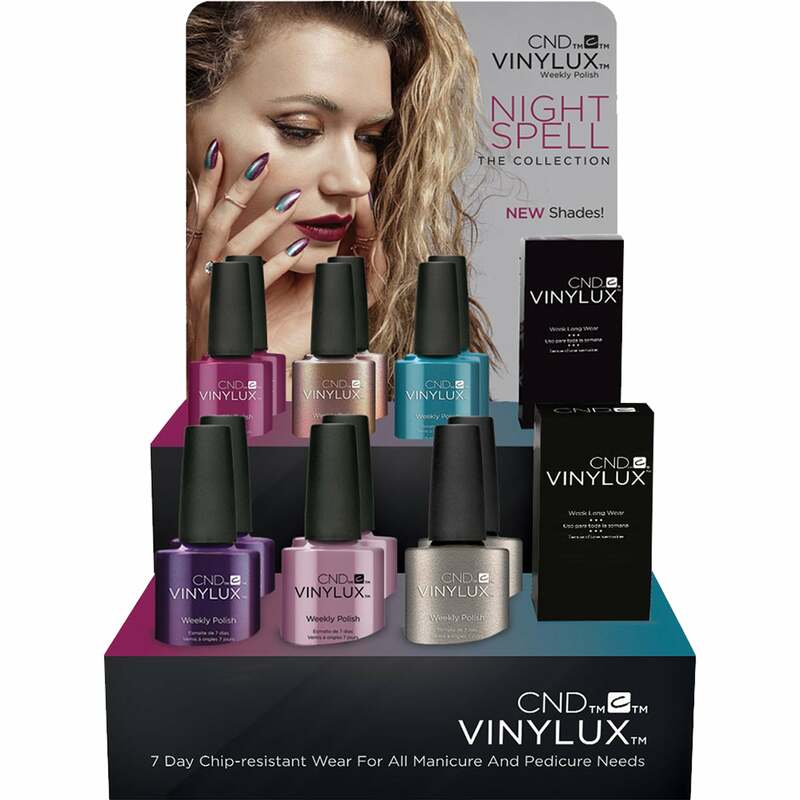 2 X Weekly Topcoat: VINYLUX Weekly Polish and Weekly Top Coat is a system uniquely designed to work together.